Faculty, find out how Instructional Materials Services and Plans (IMSP) can help support your classroom instruction. Instructional Materials Services and Plans (IMSP) is a collaborative effort by many UCSD organizations. IMSP's goal is to make it easier for faculty — and the staff and TAs who support them — to find instructional support resources. Note: You must request services 4 weeks before the quarter begins. Your requested materials will be reviewed for compliance with copyright laws. 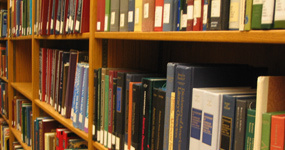 UCSD Libraries' Course Reserves provides print and digital reservation services free of charge. To get started, see the UCSD Library's reserve information for faculty. Place books on reserve at circulation desks. Post articles and other course materials electronically. Reserve high-quality music files that can be made available 24 hours a day. Reserve and post digital images. For more details, visit the Course Reserves website. Call (858) 534-3020 or visit one of 2 campus locations. Textbook services are supplied through several UCSD organizations to assist your students. Textbook orders: Complete an online adoption form. Custom materials: In partnership with Imprints, the Bookstore produces high-quality and competitively priced bound reprints of anthologies, out-of-print materials, manuals, etc. For more information, contact UCSD Bookstore, (858) 534-7963. For more information, contact the Bookstore Course Materials Department, (858) 534-4557. For information on services, call (858) 534-3167. Order a book by e-mail. For more information, contact Groundwork Books, (858) 452-9625.